Chris Lilly at the famed Big Bob Gibson's BBQ in Decatur Alabama. 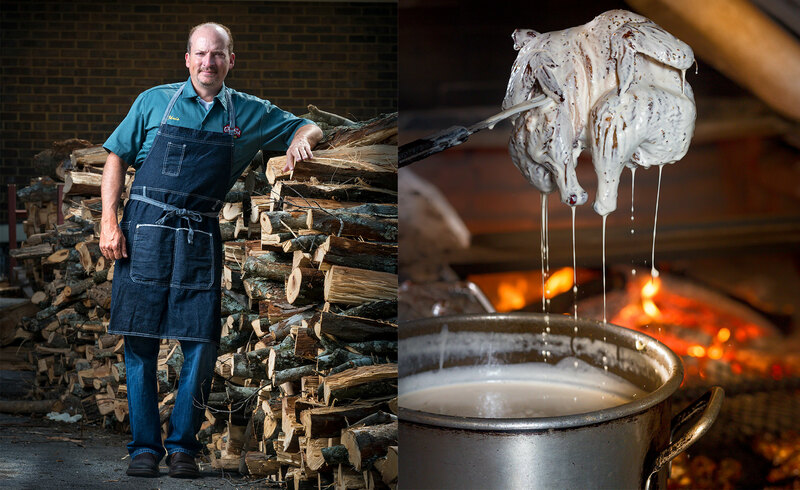 Big Bob's has won four World Championships and is known as the originator of North Alabama's white BBQ sauce. Here Chris Lilly dips a chicken hot of the smoker into a pot of the sauce.